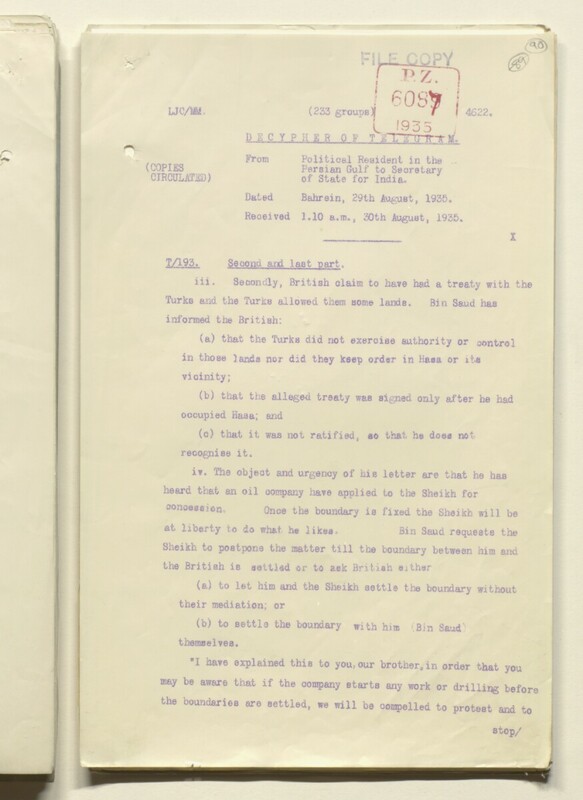 Dated Bahrein, 29th August, 1935. Received 1.10 a.nu, 30th August, 1935. T/193. Second and last part .